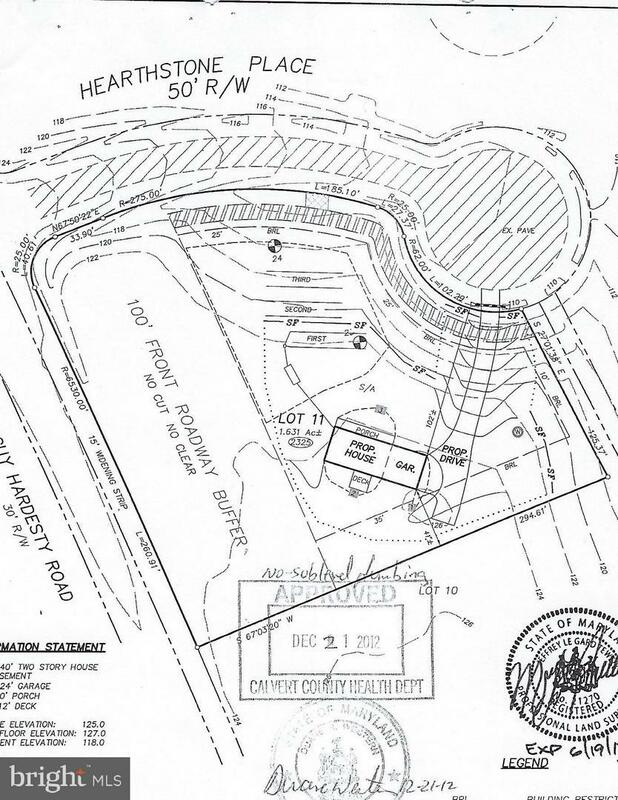 1.6 acre cleared lot in small 8 lot subdivision in the heart of Huntingtown. Situated in a quiet culdesac just minutes away from Huntingtown High, Plum Point Middle and Elementary Building permit package available to update with new buyers plans. Builder is available to meet with you or bring your own Builder! Listing courtesy of Berkshire Hathaway Mcnelisgroup Properties-Dunkirk.